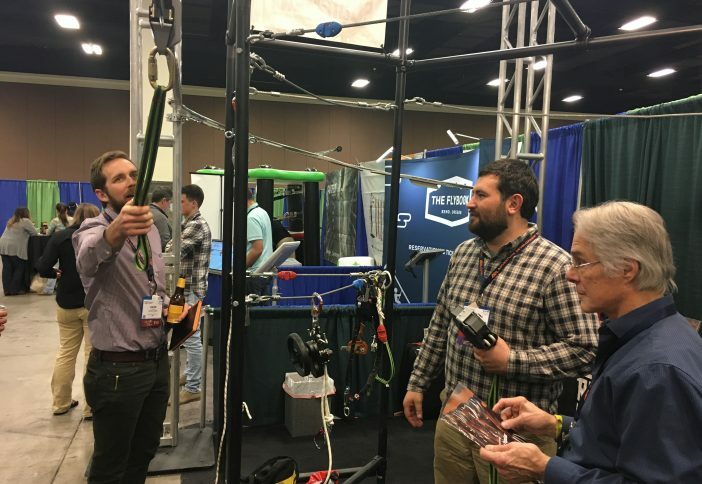 The 28th Annual International Association for Challenge Course Technology Conference and Exposition took place Feb. 1-4 in Fort Worth, Texas. 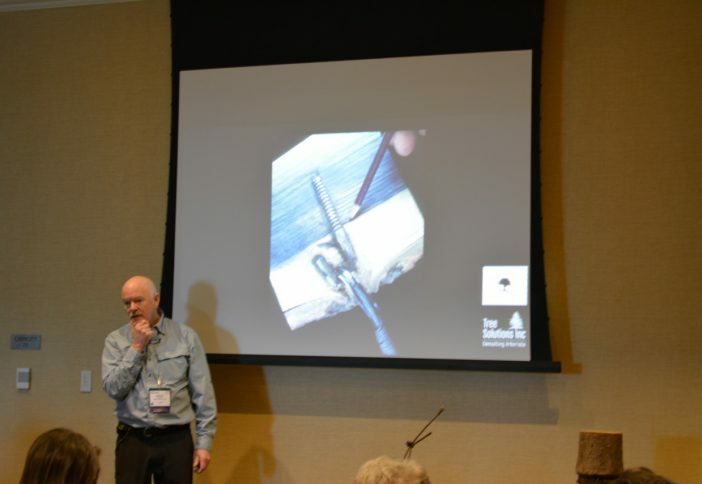 The event drew 1,148 attendees to the southern city and featured several packed sessions. 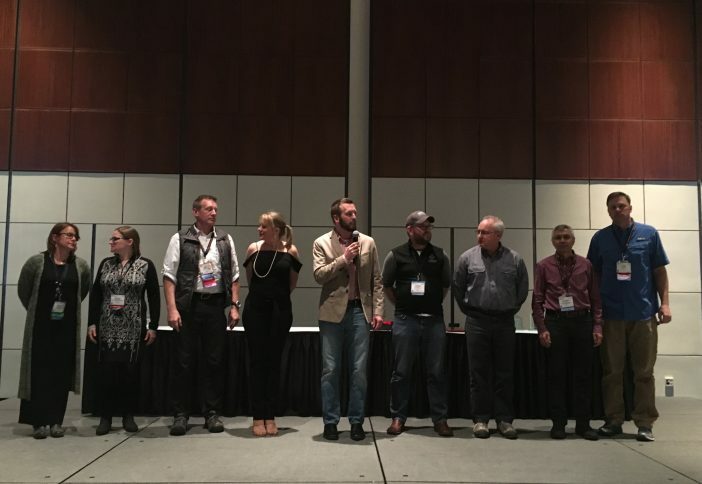 The conference opened at the general meeting, where the ACCT staff proudly announced the successful righting of the ship after several financially tumultuous years and reported a budget surplus of $200,000, which they hope to increase before year end. 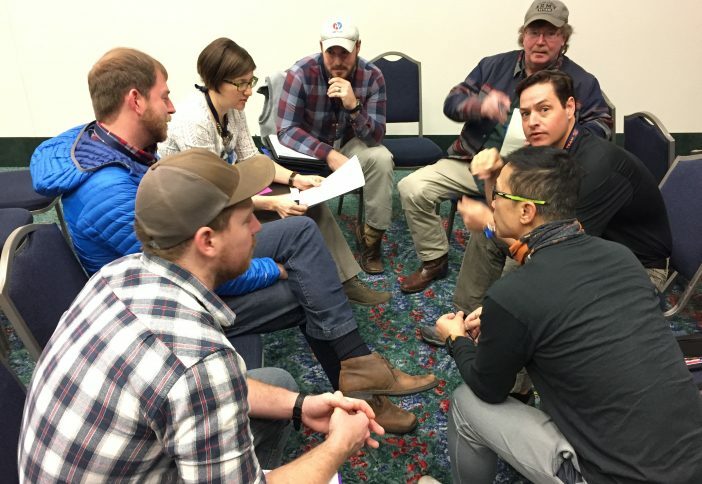 Additionally, an appeal was sent out to the membership to get involved on committees and task groups, stating that volunteers are the engine that propels the organization forward. 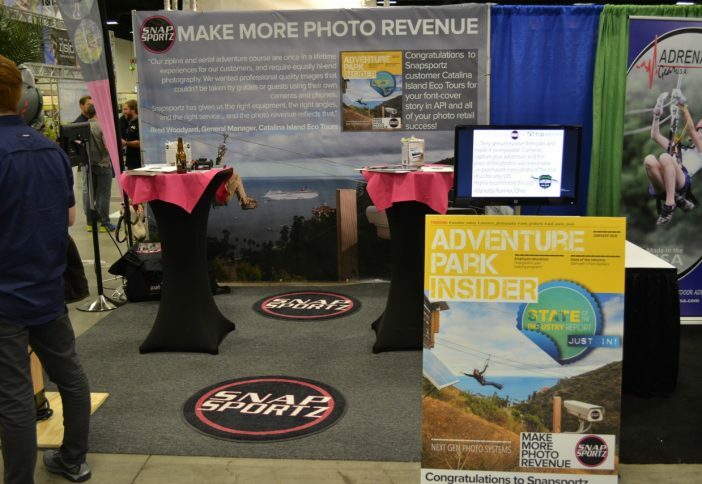 There were several facets to this conversation, including adding activities and attractions to broaden an operation’s mix and expand its potential clientele. Many operators are looking at lower-cost activities to refresh their facilities and to create a unique experience for guests. 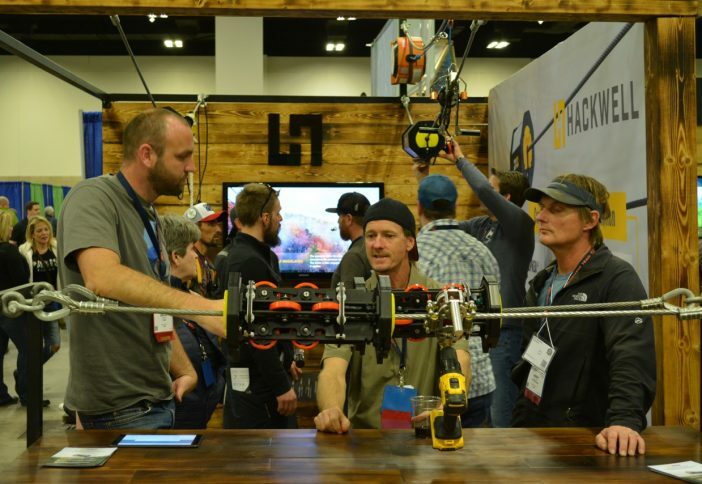 The 110 vendors represented at the show did not disappoint, bringing new products and new ideas to the table. 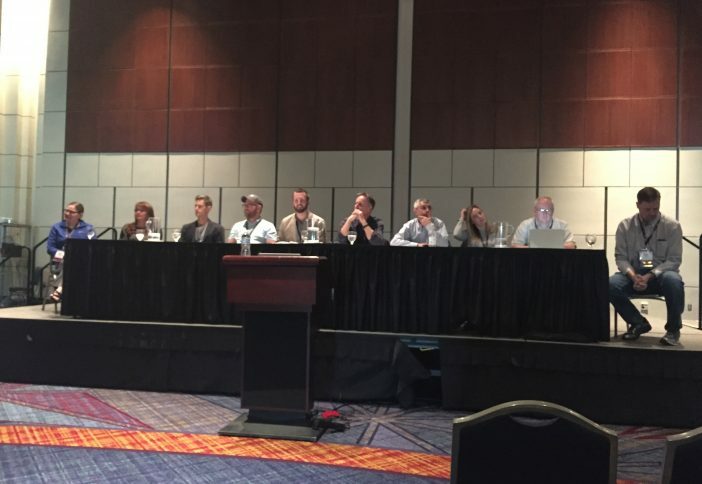 With several data-specific sessions on the convention calendar, operators were increasingly seeking information on what industry data is available, how to drill down on it to benchmark against their own business, or how to start collecting their own operational data. 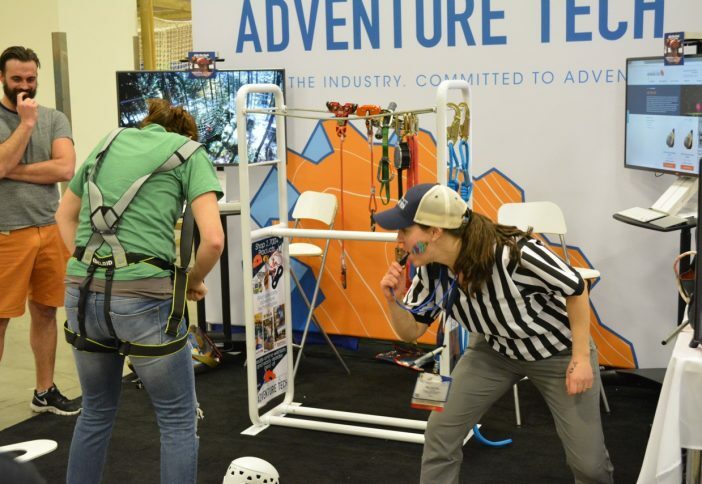 The Adventure Park Insider team offered one of these sessions. View the presentation here. 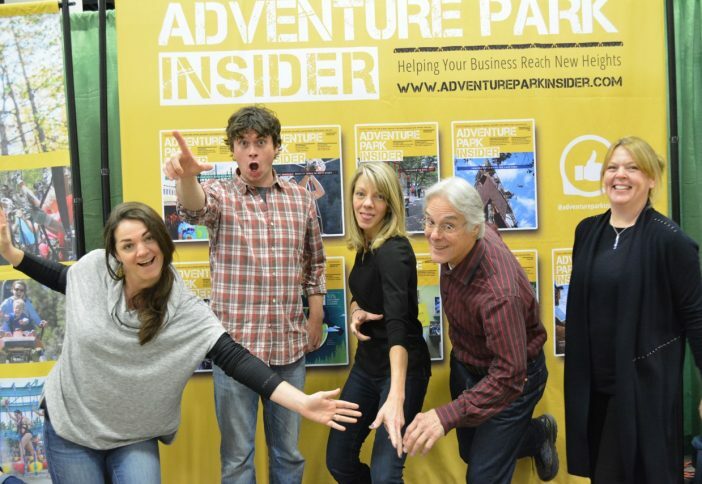 Editor Rick Kahl led a panel that included Paul Cummings, chief client advocate for Strategic Adventures; Micah Salazar, director of operations at Outdoor Ventures; Lee Kerfoot, president at MN Zip Line Adventures; and Sarah Borodaeff, digital editor for Adventure Park Insider. 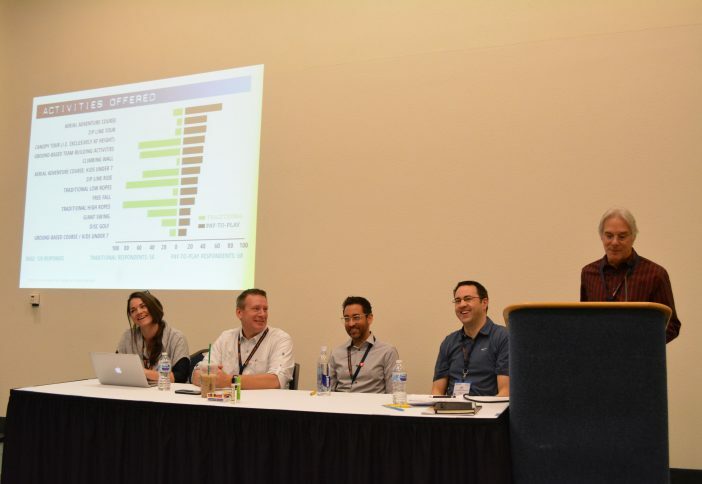 The session discussed data from the soon-to-be released State of the Industry Report, view the top line report here, and drew on the experience of the panel to highlight how to utilize the data to help make business decisions at individual operations. The session closed out with an open discussion about how to increase participation in the annual survey. 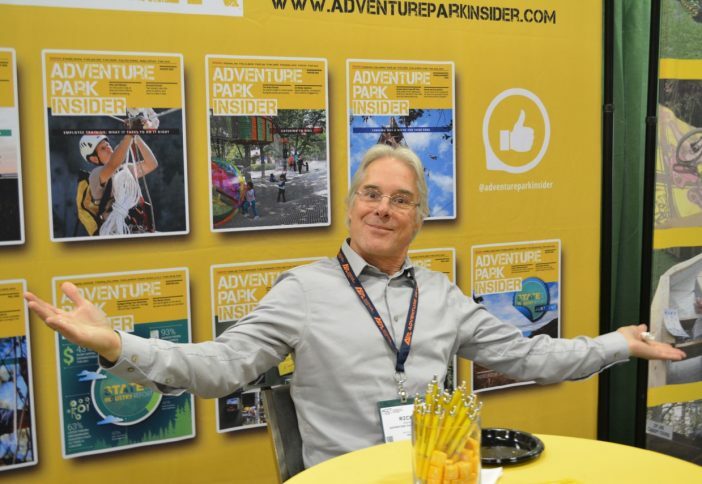 Share your comments and ideas with us by emailing news@adventureparkinsider.com. Another key topic, risk management, has been an enduring conversation at the forefront of this conference for years. Multiple sessions presented various aspects of managing risk, from training to litigation and the development of emergency action plans. ACCT also updated attendees on the state of its program accreditation proposal. Several members of the accreditation task group described the results of a pilot program this past fall and talked about the requirements—largely meeting jurisdictional regulations and the ANSI/ACCT standard. They also addressed questions, such as who will do the on-site inspections and skills verification (PVMs, at least initially), and heard comments and suggestions from the audience. The current goal is to have a limited rollout of the full program at next year’s ACCT conference (February 2019). 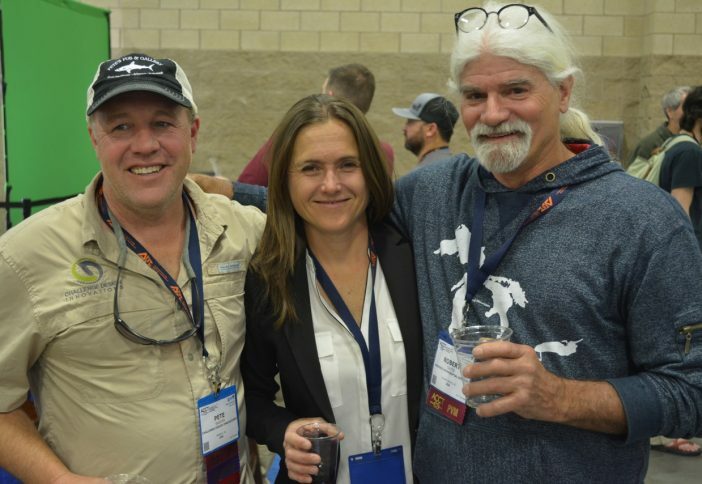 At the closing ceremony, ACCT welcomed two new board members: Paul Cummings of Strategic Adventures and Mandy Stewart of Experiential Resources, Inc. 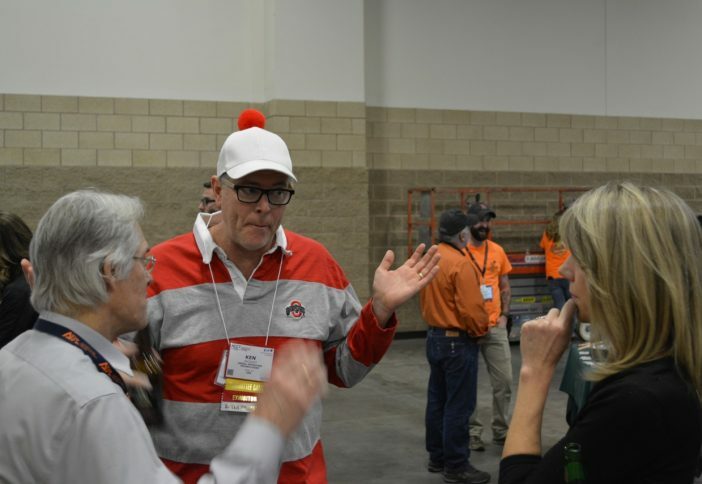 In addition, Scott Andrews of Northwest Teambuilding was re-elected for another term. Critical Link: Josh Tod of Rope Works, Inc. 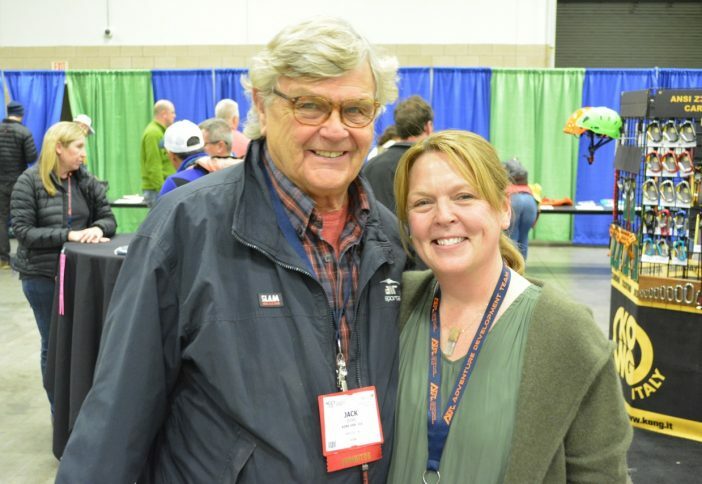 The 2019 Conference will be held Feb. 7-10 in Denver. We look forward to seeing you there. Editor Rick Kahl holding down the fort. Brian Turley (left) from Hackwell Innovations talks about its latest development, the Zipkea emergency arrest device. Apparently the Adventure Park Insider team stumped Challenge Towers Ken Jacquot. 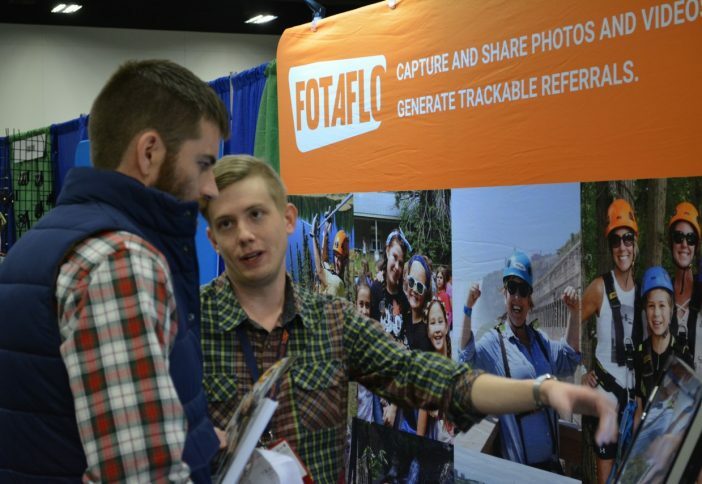 Photo services were a huge topic of conversation at the show. 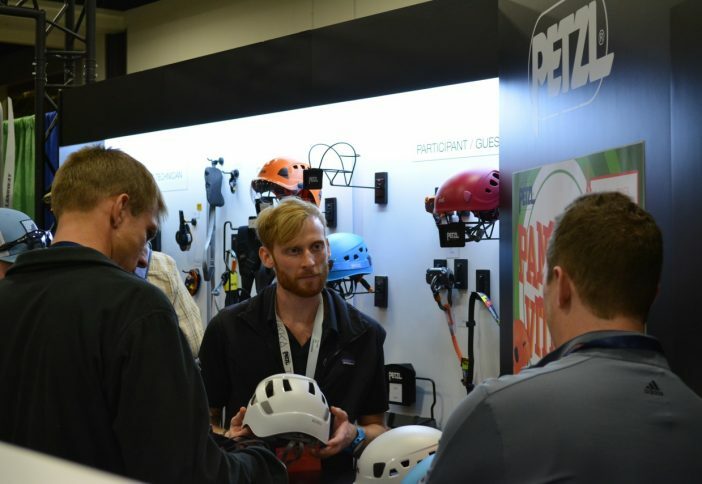 The Petzl team shows off its latest helmets. Hey, Team Snapsportz! We love your booth. Scott Baker leads a session on tree biology. The show had folks coming in from all over the world! 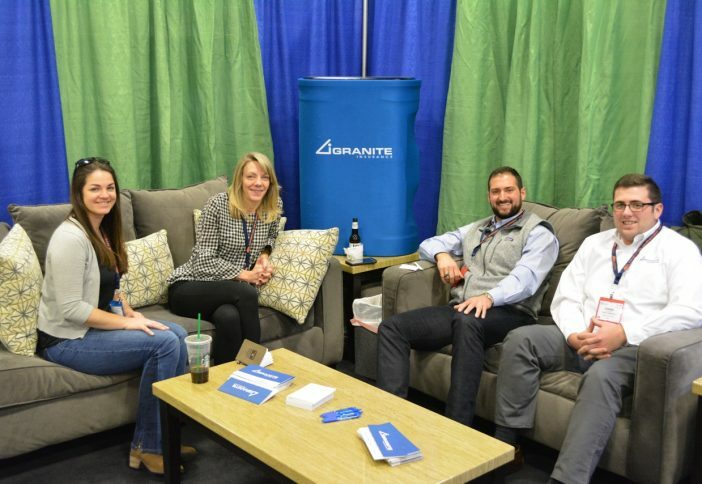 Gotta bring your A-game to the ACCT exhibit hall. We stopped by to say hi to the ZipFlyer team. 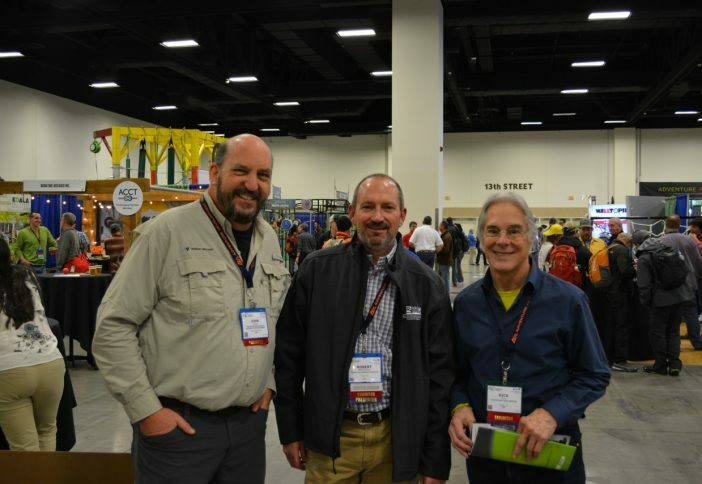 John Hines, Outdoor Ventures; Robert Monaghan, Hibbs Hallmark Insurance; and Rick Kahl, Adventure Park Insider, chat during the trade show session. 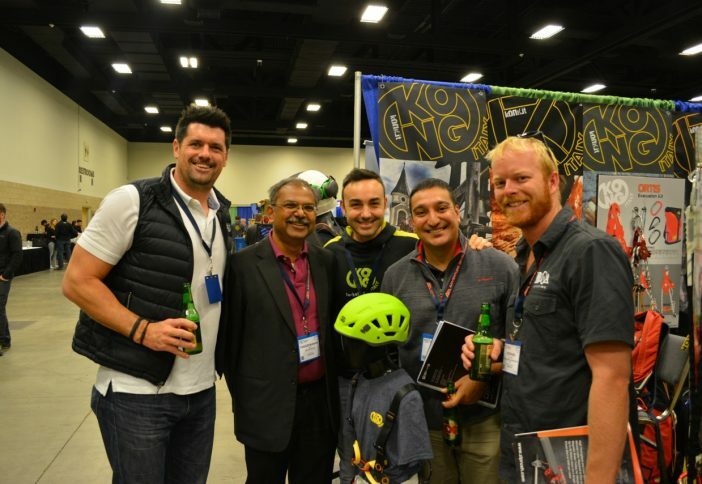 (left to right) Diego Valverde, Mike Wake, and Dan Brennan are all smiles during the trade show. 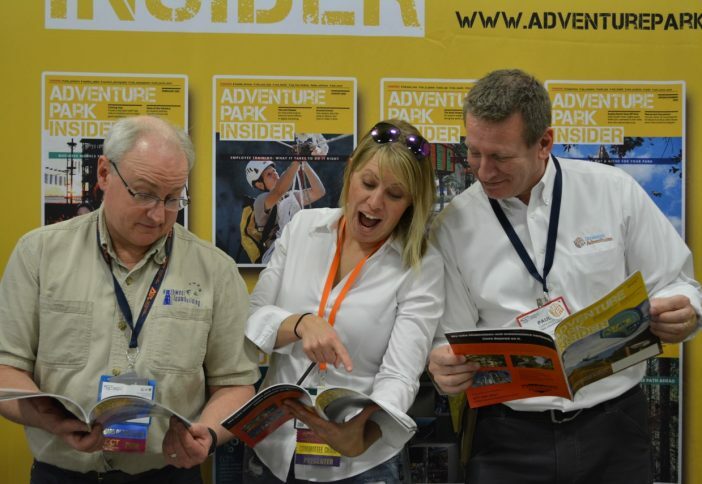 The newest members of the ACCT Board of Directors-Scott Andrews, Northwest Teambuilding; Mandy Stewart, Experiential Resources, Inc., and Paul Cummings, Strategic Adventures-check out the latest issue of Adventure Park Insider. 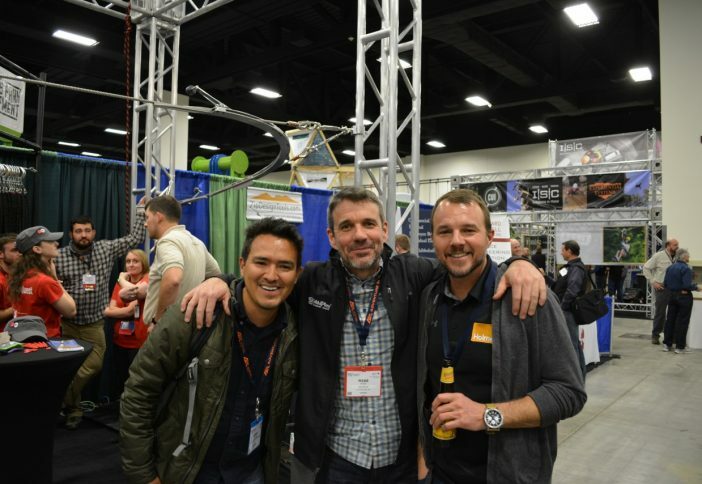 Pete Sawyer, Challenge Design Innovations; Korey Hampton, French Broad Adventures; and Robbie Oates, Phoenix Experiential Design, grab a drink during the expo. 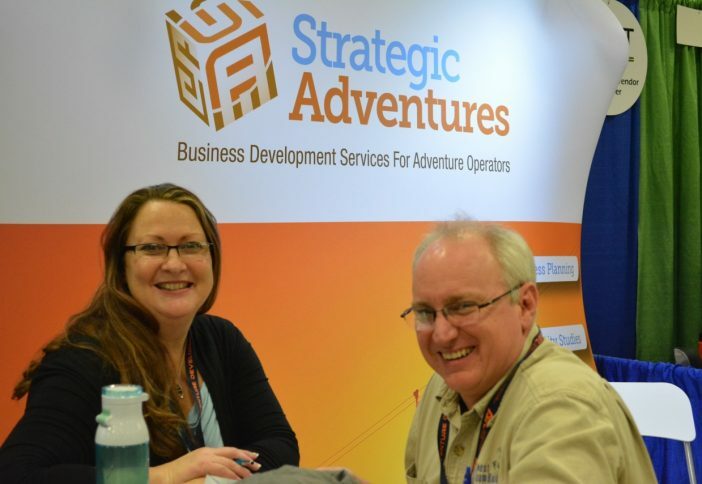 Adventure Park Insider's Sharon Walsh is all smiles with Jack Dunn of Kong USA. 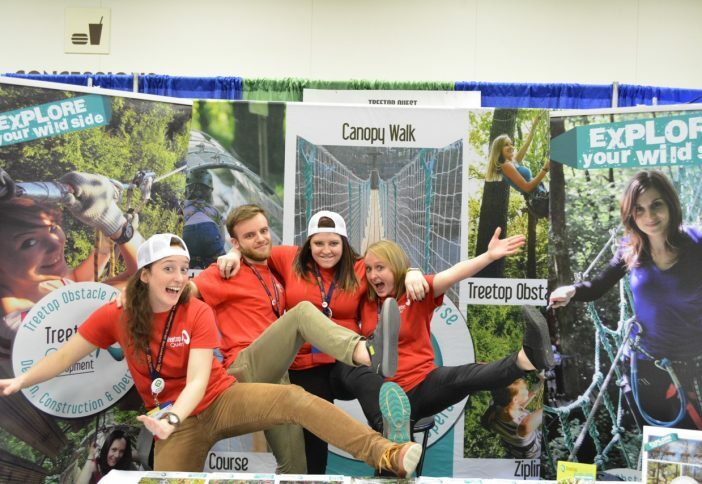 It's all fun and games with the Treetop Quest team. Training Wheels' Michelle Cummings chats with Scott Andrews of Northwest Teambuilding. 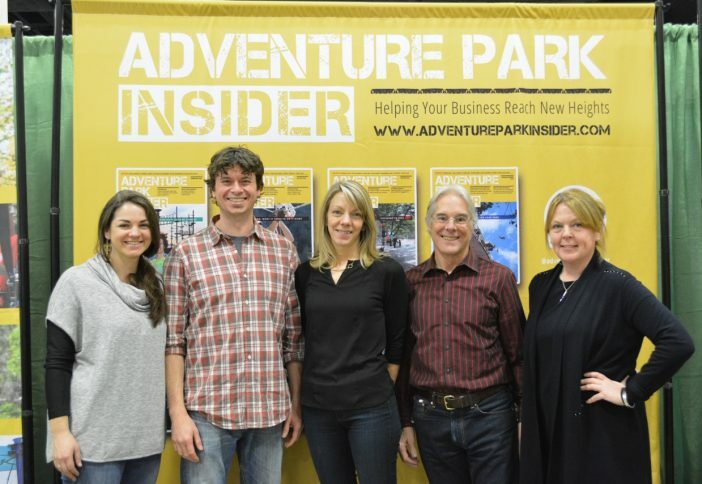 Editor Sarah Borodaeff and publisher Olivia Rowan of Adventure Park Insider meet with the team at Granite Insurance. 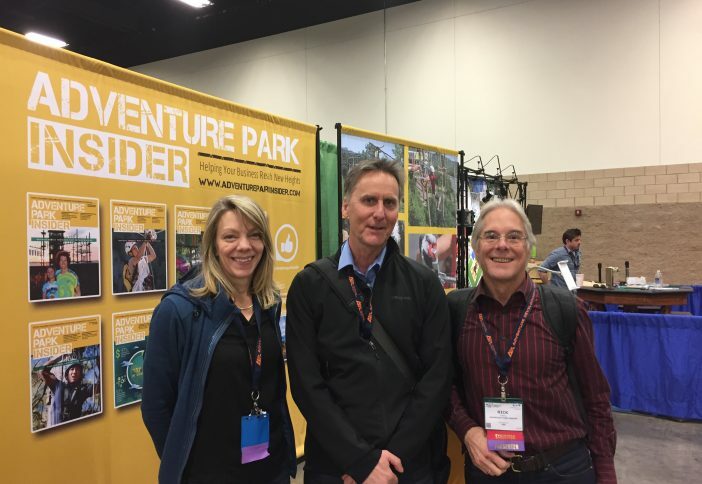 Adventure Park Insider led a panel on industry data with Strategic Adventures' Paul Cummings, Micah Salazar of Outdoor Ventures, and MN Zip Line Adventures' Lee Kerfoot. The ACCT Board of Directors opens the show at the general meeting. 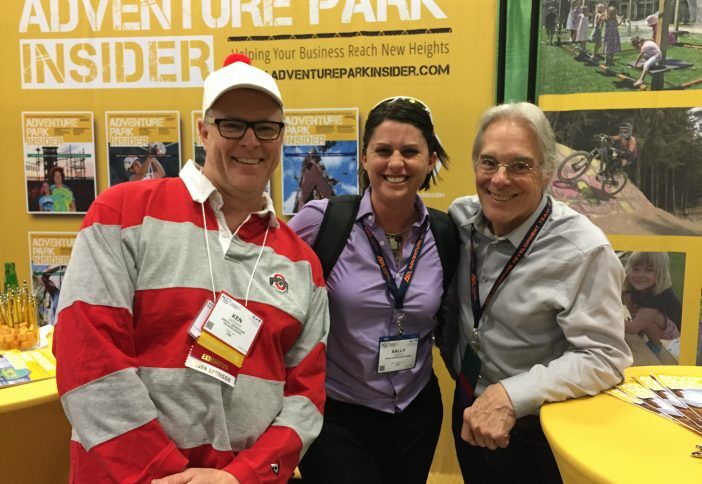 ACCT executive director Shawn Tierney stops by Adventure Park Insider to chat with publisher Olivia Rowan and editor Rick Kahl. 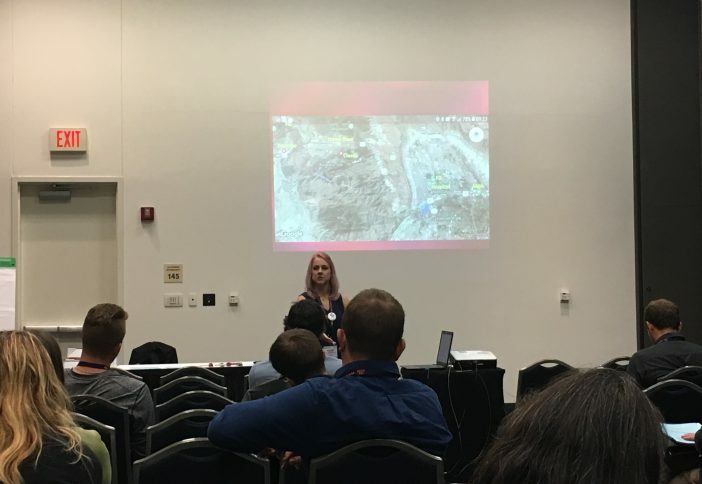 Heather Ingraham, course manager at Royal Gorge Zipline Tours, talks about developing an emergency action plan. The current and past ACCT board members (left to right): Michelle Hepler, Micah Henderson, Paul Cummings, Mandy Stewart, Ben Kopp, Carson Rivers, Scott Andrews, Bahman Azarm, and Ryan Olson. Not pictured: Dylan Burt and Sara Bell. 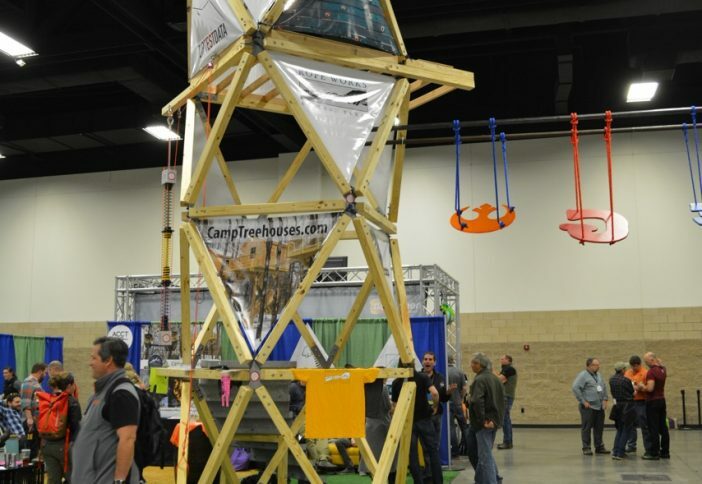 Editor Rick Kahl checks out Ropes Park Equipment's newest product, the Quantum Zip Line System. 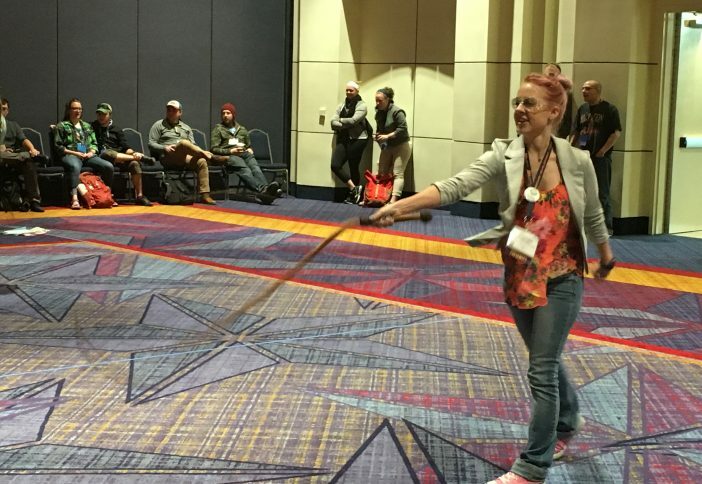 The team at Royal Gorge better watch out, course manager Heather learns to crack the whip at the ACCT Olympics. 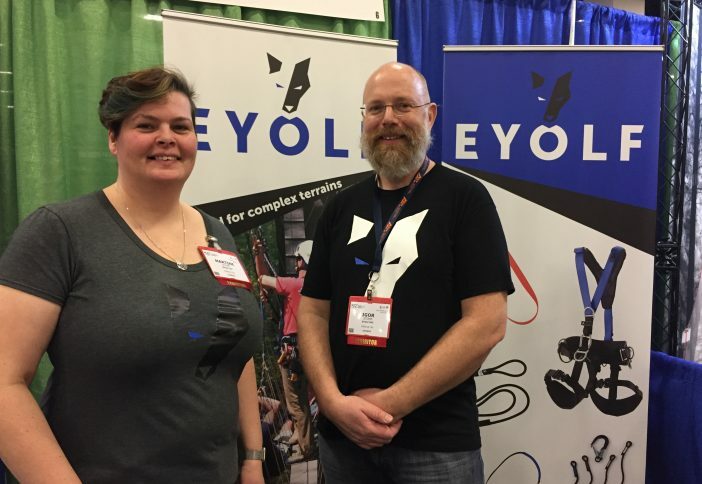 Igor and Martine Stomp of the rebranded Eyolf (formerly MaxGear). 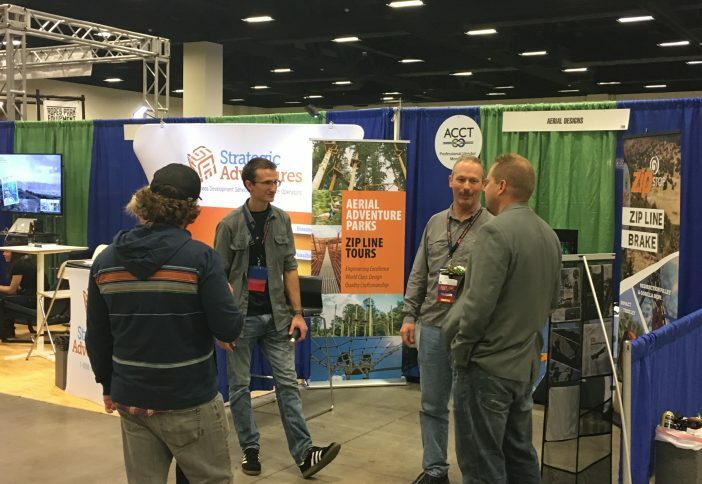 The Aerial Designs team chats with attendees. 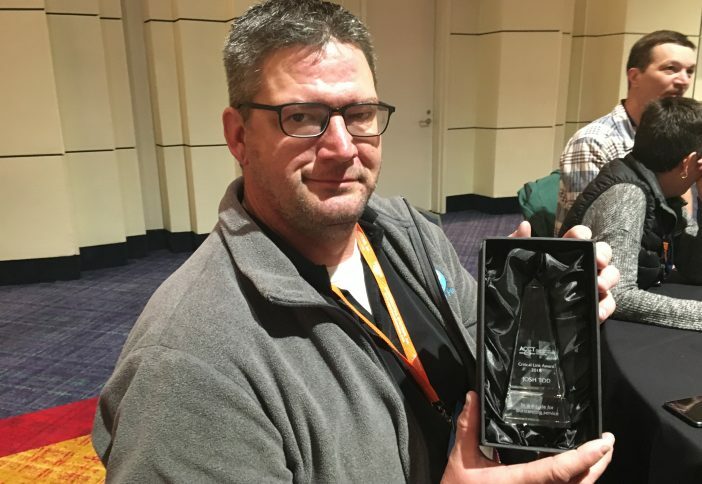 Josh Tod, of Rope Works, Inc., shows off his Critical Link award. 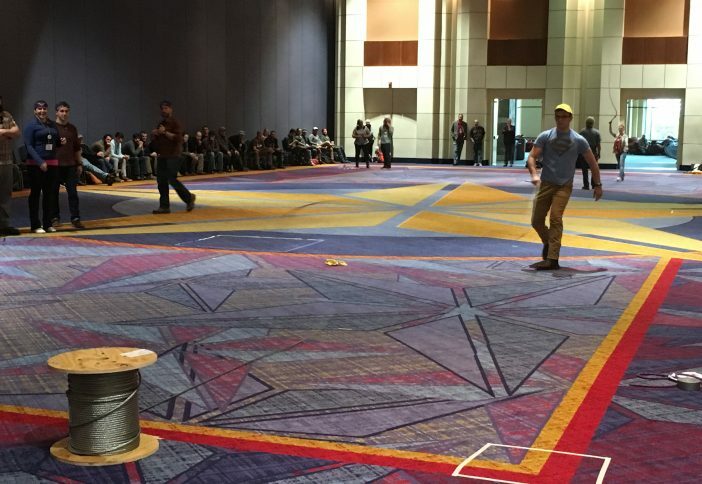 Last year's cable whip champion returns to try and defend his title for Team Yellow Hat at the ACCT Olympics. Sharon insists, "I'm not with them."